Why so happy? Yeah, I know... UGH... Mondays, right? Well happy because I have a special post to share with you. 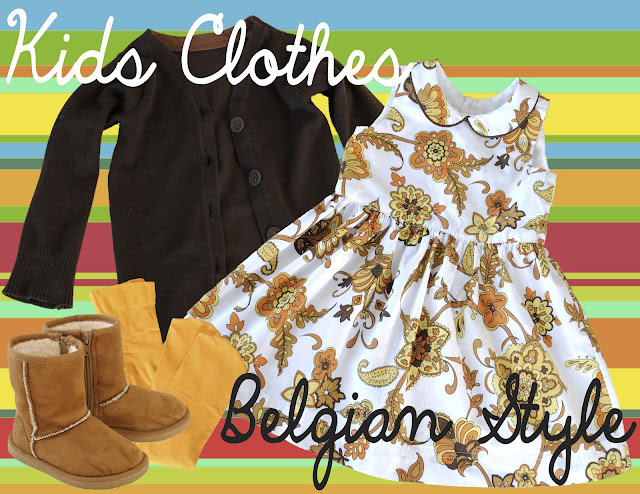 An from Straight Grain invited me to take part in a new sewing series called Kids Clothes Belgian Style. There are so many wonderful and inspiring sewing series throughout the year and to be a guest on this one is quite special to me. If you have ever seen An's blog or any of her creations via Flickr or posts from fellow bloggers, you can't help but be drawn into her world of simple elegance. If you haven't visited her blog, you MUST go. I promise you will fall in love, just like me. So what is Belgian Style? It's a mix of simple, classic design with bright colors lending to a retro feel. I must confess... it wasn't as easy as I was anticipating it to be. To see more pictures and story on how I came up with my interpretation, hop on over to An's place HERE. Be sure to say hello and give her a hug for me! Fantastic, Venus. I love the added Peter Pan collar! Thank you Sanae. I love the collar too. I think my only wish is if I had just a little more fabric, I would've added sleeves. Oh well. I know your turn isn't till later, but do you have an idea already? i love these colors! so adorable, as usual. that piping on the collar is perfect. Little people cardigans must be the current fashion wave I was just laughing that there were 3 separate posts all featuring different cardigan patterns lined up in my Facebook feed this morning. Great refashion on yours. I know... I was pretty nervous myself. I spent a good amount of time just laying all the pattern pieces out to make triple sure it'll work. A little prayer always helps too! You would think there would a plethora of cardigans for little girls in stores. Sheesh! Absolutely adorable! 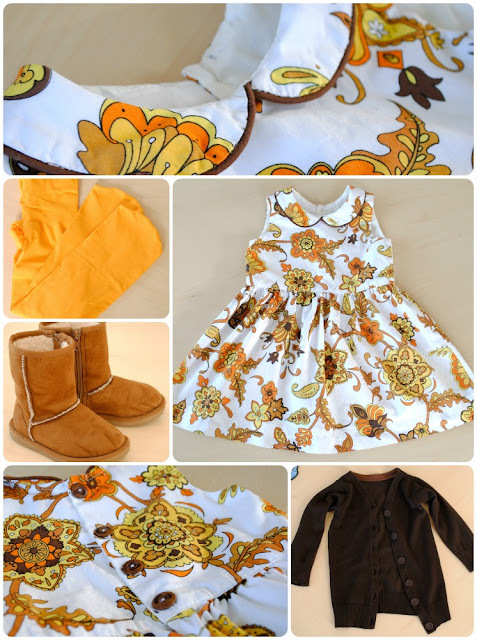 Amazing fabric match and oh my, how cute is she wearing the outfit? I love this sooo much! The collar really makes the dress special and adorable. The piping too. It's perfectly adorable! Thanks Jen! The piping really finishes it... it better! I made a special trip to the fabric shop just for piping! mix it-match it: be mine!